Considering his background and nationality, not many expected Dennis Lloyd to be much of a success in the music scene outside of his home country, but as they say, talent cannot be hidden for too long. Though Dennis Lloyd is not so old in the music scene, he is raking up rave reviews faster than a whole lot of other musicians who were on the scene long before he came along. Proving just how much of skill and talent he has loaded inside him, Lloyd can be referred to a jack of all things music and master at a good number of them too. This is because he surpassed the level of just being a singer and has leveled up as a songwriter and producer too. The prolific singer and songwriter was birthed to parents of Jewish descent on the 18th of June 1993 in the Ramat Aviv neighborhood of the city of Tel Aviv, Israel. At birth, he was given the Hebrew name Nir Tibor which he did not go too far with. His first given name Nir means Field and is often confused with the English name Neil. Growing up in his close-knit family that encouraged a young Dennis Lloyd to pursue his passion, he took to learning how to play the trumpet a very young age and by the time he was 8, he could play the instrument really well. He followed this up by teaching himself to play the guitar at 13. For his formal education, he was enrolled at the Thelma Yellin High School of the Arts located in the city of Givatayim in Tel Aviv, his birthplace. Dennis’ attempt at making music began back in high school when he dedicated a good deal of his time to making covers of Kesha’s songs and putting them up on YouTube. Back then, even though his covers were good, his peers at the time thought of him as being weird and different especially because he was not particularly interested in the same genre of music as everyone else. For this reason, he got a lot of discouragement and peer pressure to quit music and try his hands on something else, but he kept at it and would not give up. After high school as is the custom in Israel, Dennis Lloyd went for his compulsory army service which for him was a delay in his hunger to make music. As soon as it was over, he moved to Thailand where his music career was properly birthed. To kick of his music career properly, Nir Tibor as he was known by at the time, did not want his nativity to be a hindrance for the greatness he was sure would come his way, so he took the huge decision of going by a new name that would not be discriminated anywhere in the world. Even though he changed his name to Dennis Lloyd to give him a better shot, he still identifies as an Isreali and has often made it clear that he is in no way ashamed of his Hebrew heritage. Changing his name simply took him to a global audience. Moreso, he felt it would better to go by an English name rather than having to constantly tell people that his name is Nir and not Neil and also that it means a farming field. When he left Israel for Thailand, Dennis Lloyd took just two bags with him; one for his clothes and the other for his music or studio as he called it. In Thailand, he got a studio apartment in a local area in Bangkok where he spent a good deal of his time by himself writing and recording his music. The isolation was also due to the fact that the locals in his neighborhood could not speak English and had no access to wifi. Using his laptop, trumpet, and microphone, he recorded his music on the computer and soon began to master some of the intricacies of mixing the trumpet into his music which he had hitherto found very difficult. It was during one of these recording sessions that he recorded his hit song ‘Nevermind’ which was inspired by the loneliness that engulfed him all those time he was alone. Dennis Lloyd’s music career took off properly when he released his first single which he titled ‘Playa (Say that)’ sometime in 2015 before his move to Thailand. In Bangkok, he wrote 35 songs in one year and went back to Israel to properly start releasing them. When he first released the hit song, it was titled ‘Nevermind (Alrighty)’, and he released it along with ‘Snow White’. Towards the end of 2016, having noticed some good responses to Nevermind, he made a remix of it and released it to critical success. The remix soon peaked at number 4 on the Spotify Global Viral Chart with over 200 million streams on Spotify alone. Making further strides two years later, the song was listed as one of the songs of Summer for the year 2018 by Time Magazine. 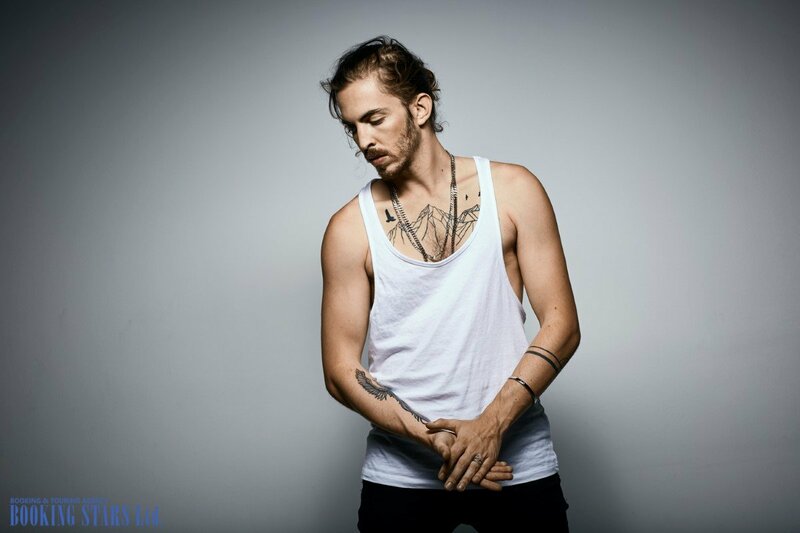 Since the remix of Nevermind catapulted him to immense popularity, so much has been going on for Dennis Lloyd. He was featured doing an acoustic version of his song ‘Leftover’ on the COLORS youtube channel which has been viewed in excess of 26 million times since then. To further cement his place as a bonafide musician, the singer toured Italy, Europe, and North America in May 2018. From as far back as when he was 12, Llyod’s biggest influences were Nivarna and Kurt Cobain who he said the best thing would be to rank next to them on Spotify.